Call it competitive compulsions or political astuteness, it is a bit of both. The bottomline is that the Interim Budget has given absolutely generous sops to the Aam Aadmi. 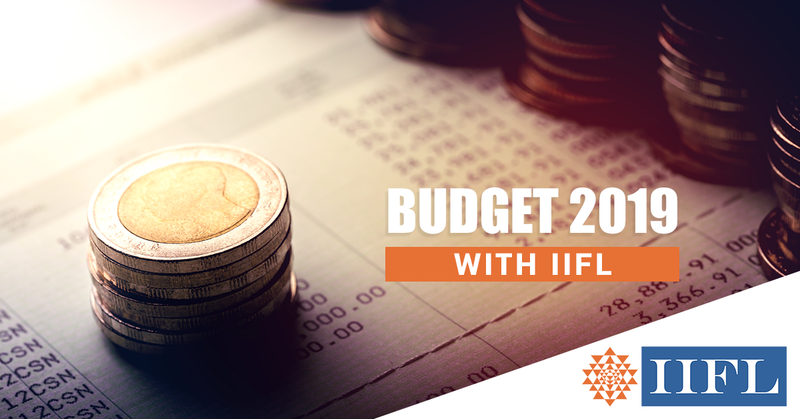 Interim Budget 2019 can be aptly called as “The Common Man’s Budget” or even “The Election Budget.” Call it competitive compulsions or political astuteness, it is a bit of both. The bottomline is that the Interim Budget has given absolutely generous sops to the Aam Aadmi. Of course, it may be a misnomer to call this an interim budget because it has been anything but a vote-on-account. Instead, it has gone out the way to make big allocations to the common men and women in rural, semi-urban, and urban areas alike. • The standard deduction limit has been raised from Rs40,000 to Rs50,000 per annum. Last year, tax payers had complained that this standard deduction was in lieu of transport allowance and medical reimbursement, and hence, the incremental benefit was limited. This move will mean incremental benefits for tax payers. • This budget could be an incentive for tax payers to save under Section 80C and Section 80D more seriously. Taxpayers now know that if they save in Section 80C instruments and also avail the exemption of interest on home loan, they can take their tax free income closer to Rs9 lakh. In addition, by opting for an NPS and medical cover, you are free of tax till a total income level of Rs10 lakh. This is an additional incentive for taxpayers to seriously save for ELSS/PPF investments and also think about buying a residential property. • The budget has also exempted the notional rent on second property from income tax. This becomes an incentive for people to buy a second property and can be a huge incentive for the housing sector as such. • In addition to the benefit on notional rent, there is an additional benefit on the capital gains front. Currently, if a person sells a house and then reinvests in another house, it was exempt from capital gains tax under Section 54. To give an incentive for many people who want to relocate to peaceful semi-urban locales, the government has announced that the proceeds can be reinvested in 2 properties instead of just 1. Of course, this special benefit will only be available once in a citizen’s lifetime. • The budget has tried to implement a very simple form of “Universal Basic Income” (UBI) for small and marginal farmers owning less than 2 hectares of land. Such farmers will get Rs6,000 as basic minimum income each year via direct transfers into their bank account. The UBI plan will cover 12crfarmers and entail an annual outlay of Rs75,000cr. What matters is that this plan will be effective from December 2018, so farmers will start to see the benefits immediately. The budget may be a class act in a number of ways. No political party from the left or the centre can really object to these giveaways. That should make the implementation a lot easier for the government.